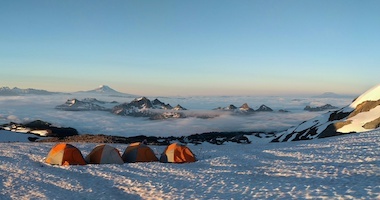 Getting safely up and down mountains is just the beginning of the story at Rainier Mountaineering, Inc. (RMI). Founded by the legendary Lou Whittaker and staffed by the most experienced and talented guides in America, RMI has built a five-decade long legacy of safe, successful, and enjoyable mountaineering adventures. RMI has been setting the standard in mountain guiding excellence since 1969. Experience matters in the mountains, and that is exactly what we have gained over the last 50 years. There is no substitute for the years of expedition guiding around the world, over 300 Denali Expeditions, over 80,000 climbers on Mt. Rainier and some of America's first ventures into the far reaches of the Himalaya. 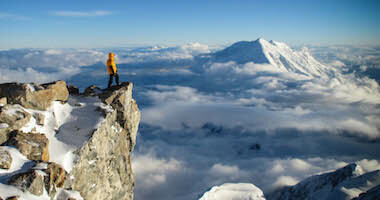 RMI Expeditions strives to provide the safest mountain experience possible. Safety is our number one priority. RMI guides draw from their wealth of mountain knowledge, experience and training to make sound decisions that improve your chance of reaching the summit while maintaining the necessary margin of safety. To make every effort to attain our goals while maintaining a responsible margin of safety. To share our mountain experiences and teach others to climb safely and knowledgeably. 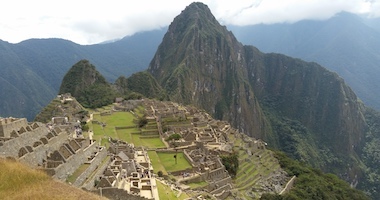 To climb responsibly and to protect and preserve all natural and cultural resources in the places we travel. To make every adventure a meaningful and enjoyable experience. At RMI, diversity and inclusion are central to our values. We are focused every day on offering the best climbing experience to all who wish to challenge themselves in the mountains. If you are a climber with particular requirements in regard to diet, language, physical abilities, or background, please contact us. We will endeavor to meet your needs. 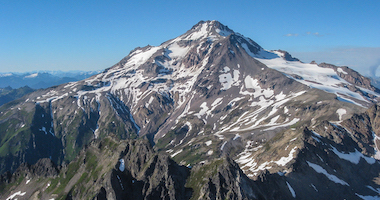 One of our principle goals is to see our clients reach the summit. Climbing requires a significant amount of time, money and energy on an attempt, and the greatest chance of safely reaching the summit lie with the high quality and caring guides who are the core of our company. We understand that our clientele often define success with the attainment of a summit, and we enthusiastically strive to see them attain that goal. Whether we reach the summit or not, we also strive to allow our clients to feel that the attempt is a worthwhile and meaningful experience in the mountains. We are privileged to have a business opportunity that operates within the fragile alpine environment. With this opportunity comes the responsibility of being a good steward of the resource. Our Leave No Trace (LNT) outdoor ethic is held in the very highest regard. We guide and climb with the idea that protecting, conserving, and preserving the resources are critical, both for our own programs and for others who follow. By arming our clients with the right knowledge, education and training, we can responsibly protect the resource while climbing as a team on the mountain. We will take all reasonable and adequate precautions to minimize damage to all natural and cultural resources. Our clientele are educated to the environs in which our ascents take place. 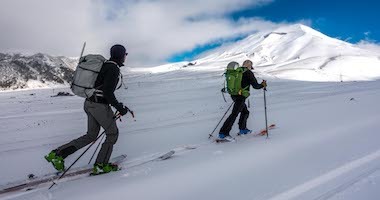 Our guides pass on knowledge that has been gained through numerous years of guiding on Mt. Rainier, Denali, and throughout the world. Our guides are excellent teachers of the alpine skills set, Leave No Trace outdoor ethics, and safety skills necessary for safe, successful and enjoyable climbs. Mountaineering can be both intensely challenging and deeply satisfying. Many of our clients find their mountaineering experience with us opens the door to a life of adventure. 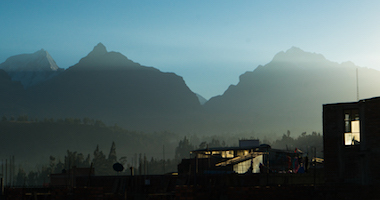 The ability to set high yet tangible goals, rare chances to visit and experience unforgettable new places, a growing respect for the fragile beauty of mountain environments, and the opportunity to forge friendships all help to make your experience with RMI an enjoyable adventure.